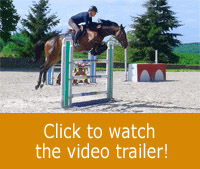 This program, made of 6 steps and 44 exercises, offers solid yet progressive solutions to improve your techniques and refine the connection with your horse. 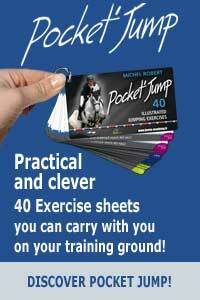 This training program has been developed by MICHEL ROBERT, international coach and rider, author of numerous best seller equestrian books. His extraordinary and long-time career as an international competitor and instructor enables him to create this incredible teaching tool. This program, made of 6 steps and 44 exercises, offers solid yet progressive solutions to improve your techniques and refine the connection with your horse. The exercise lay-outs are easy to set up and adaptable to all levels of riders. The more experienced riders will be able to increase the level of difficulties simply by replacing the ground poles by cavalettis or jumps. The teaching booklet “Training” is presented under the form of sheets that you can take with you on your training ground (size is 12x8cm) - So you can access the information needed for your practice anytime and anywhere. - on the front page: the goal of the exercise with a diagram of the set-up and some specific advice. - on the back page: a clear explanation on Michel Robert’s method and some advice to master the exercise. The photos of Michel Robert demonstrating the exercise will help you integrate a mental image of the correct position and attitude which are essential to successfully perform the exercise.